Like many hotels (though not, it appears, the majority) we regularly monitor travel review sites such as Tripadvisor, to see what the chatter about our hotel can tell us. We also collect guest feedback the old-fashioned way, via in-room questionnaires. It’s a good way of seeing if there’s a groundswell of opinion, good or bad, about any area of our business. Most of the time our confidence in our product is confirmed; sometimes we learn that areas that we take for granted (such as our breakfast buffet) are a primary reason guests come back and stay with us again & again; and occasionally we identify an area which is a source of unhappiness for our guests. Earlier this year we noticed numerous comments, both online and on our questionnaires, about our internet rates, both in-room and in our Business Centre. Most of our guests are business travellers and so email and internet are essential tools for them. These weren’t isolated comments; rather, it seemed a consensus had formed that suggested our rates were unrealistically high. Of course, there’s no point monitoring guest feedback if you’re not prepared to act on it, so we sat down with our internet service provider and thrashed out a solution, the outcome being that we were able to offer free internet in our Executive rooms and suites, and slash the internet rate in our Business Centre by 80%. It seems to have worked – we’ve not had one complaint about our internet rate since the new prices were introduced, and more guests are opting to upgrade to our Executive rooms, making it a win-win situation for us and our guests. To be honest, in 2-3 years’ time I envisage that most hotels will offer free wi-fi throughout. People have it at home, and in many cities (including Saigon) most bars, cafes and restaurants offer it as well. The old model of paying to plug your laptop into a broadband connection will seem antiquated, and hotels and their ISPs will have to adapt to what’s going on outside their doors. 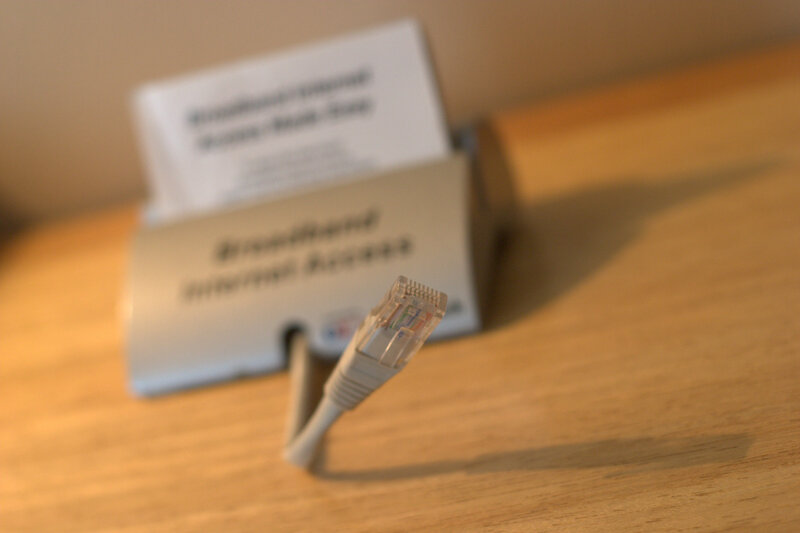 In-room broadband - heading for extinction?